It looks like maple wood but it sounds and performs like metal. The Marucci Posey28 Pro Metal Baseball Bat combines the strongest grade AZ4X alloy used on the CAT 7 with the sleek design of MLB All-Star Buster Posey's game day wood bat. With a big league inspired profile, you're guaranteed a balanced swing weight for greater control through the hitting zone. It's built to withstand heavy use over a long-lasting season so that the Posey28 Pro Metal baseball bat will perform at a high level during every at bat. Plus, Marucci's Ring-free barrel technology lengthens the barrel for a larger, uninterrupted sweet spot with unbeatable performance. While it may look like a wood bat with the maple grain cosmetics, this one-piece, aluminum alloy baseball bat delivers explosive pop with a traditional, smooth feel. Marucci: Honor The Game! This Marucci Posey28 Pro Metal Senior League Baseball Bat (MSBP28X10) features a huge 2 3/4-inch barrel diameter, a drop 10 length to weight ratio, and the USSSA 1.15 BPF certified stamp for USSSA approval. 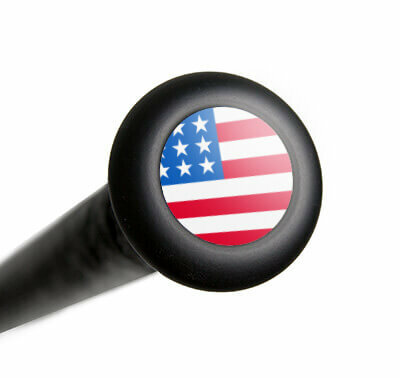 Experience the explosive performance and order one of these metal baseball bats today with free shipping and a full one (1) year manufacturer's warranty. Don't forget, we're here from click to hit! Pros: Great sound, Lots of POP, good looking bat. Pros: Good pop and feel. Cons: Recvd. bat on a Thursday. Tee work on Friday. Double header on Sunday. Some cage work before games. Already has a dent. My son is not a big hitter. Very disappointed. Marucci may need to re-think the material used for this bat. Pros: I cashed in a Demarini Zen voucher and got a the LS Prime 918. My son was hitting the ball with the prime and it sounded dead. A day before a tourney we got the Posey 28 hit off a tee and did a bp session the ball was jumping off the bat. He had an excellent tourney and season from that point on. I think with my son alloy is a better fit than composite. Cost was perfect too. Cons: I have used past reviews in regards to durability. 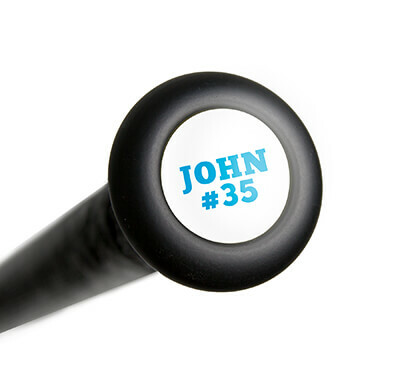 I tend to let him use the Posey 28 bat in lessons or team functions. When practicing with me or pitching machine I have him use an older bat. That being said, I have had no durability issues. Pros: got for my son for Christmas. has great sound and ball flies off the bat. Did get jammed on an inside pitch and said it stung a little. First time using in cage was yesterday. Pros: Great bat. Love the balance. The sound is intimidating. Best sounding bat on the market. Pros: Super sound. Sweet paint job. EVERYONE thinks its a wood bat until they hear the sound. Lots of pop. My son, 8u hit a 200' home run with it this past weekend. Everyone on the team wants to hit it now, and they all are hitting better. Cons: A little vibration on bad hits, but not enough to make him put it down. Pros: Marcucci is awesome and my son loves the bat. Pros: Perfect bat for my young boys. Great pop and gets them excited to hit. Pros: My son loves the look and feel of this bat. The paint job is great. He loves telling everyone that he has a 'wood' bat. Pros: Tons of pop right out the box. Pros: Has great pop, very comfortable. Looks great too! Cons: I really haven’t found any, there is just one small dent, but not enough to bother anyone. Pros: Lots of pop! Love the sound. Nice ding. Other players went and bought the same bat as well after we did! Have a question about the Marucci Posey28 Pro Metal -10 Senior League Baseball Bat: MSBP28X10? Ask our team of experts and they will respond within 24 hours. Is this bat and the -10 cat 7 senior league the same bat? Just different cosmetics? The 2018 Marucci CAT 7 -10 Senior League Baseball Bat: MSBC7X10 features the AV2 knob which delivers less vibration on contact. The only other difference is just the cosmetics of the Marucci Posey28 Pro Metal -10 Senior League Baseball Bat: MSBP28X10. I don't want to spend $200 on a bat for it to crack or dent on the first at bat. My son is 8 and taking balls yard so he is a serious hitter and has a lot of passion for the game. We purchased a CAT 7 special edition that cracked on the first hit. I need to know if I purchase this bat that I will have some kind of warranty to cover dents. The Marucci Posey28 Pro Metal -10 Senior League Baseball Bat: MSBP28X10 will feature a 12 month warranty from the date of purchase. If this bat ever became defective within 12 months of the purchase date then you would be able to set up a warranty claim with Marucci to get your one-time replacement. The Marucci Posey28 Pro Metal -10 Senior League Baseball Bat: MSBP28X10 is USSSA approved. Yes, the Marucci Posey28 Pro Metal -10 Senior League Baseball Bat (MSBP28X10) features the USSSA BPF 1.15 stamp on the taper. For an 11 year old big hitter, will it dent easily? There has been a little feedback on the Marucci Posey28 Pro Metal -10 Senior League Baseball Bat: MSBP28X10 stating that it dents easily, although the majority of players are satisfied with the durability of the bat. If he's average size for his age, I would go with a 30" model. However, if he's bigger than most of the players his age, I would consider going up to a 31." How do I put a photo on the barrel? Unfortunately, we don't have the capability to apply a photo on the barrel of any bat, including the Marucci Posey28 Pro Metal -10 Senior League Baseball Bat: MSBP28X10. At this point, the Marucci Posey28 Pro Metal -10 Senior League Baseball Bat: MSBP28X10 isn't eligible for any personalization, but could be very soon, so keep an eye out for knob personalization on this model in the coming months. Does the Marucci Posey28 Pro Metal -10 Senior League Baseball Bat: MSBP28X10 have the same extended 2 3/4” barrel and AV2 Anti-Vibration Knob as that of the 2019 Marucci CAT 8 -10 USSSA Baseball Bat: MSBC810? The Marucci Posey28 Pro Metal is essentially a Marucci Cat 7 in design, although it does not appear to have the AV2 knob technology that Marucci included in their Cat 7 and 8 models. How do you know if this bat is dead? A bat that is "dead" typically will have a distinctly different sound on contact than it normally has had, along with an obvious and drastic performance decrease.